Beautiful 3 yr old home that has been impeccably maintained & offers 2,000 s/f of amazing living space. 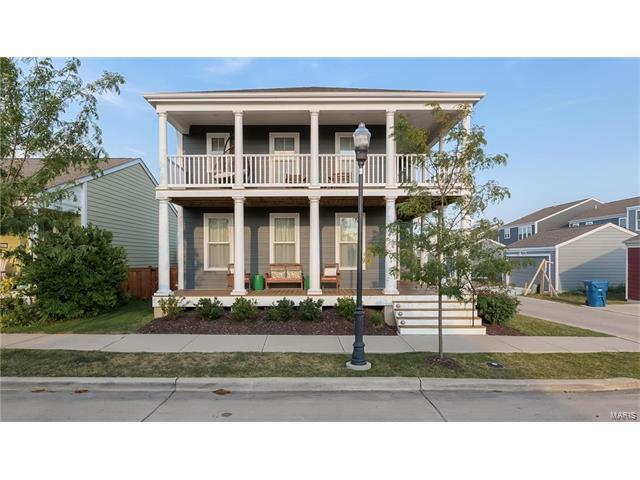 The ext is stunning w/upper & lower wrap around front porches that extend the width of the house. Enjoy spectacular views and summer evenings from the upper level wrap around porch accessible off the Master Suite & Loft area. The recently updated kitchen features an over sized island and custom cabinetry. Newly finished basement with large Rec area and bathroom for all your entertaining needs. Walk outside to your private patio and detached two car garage. Amazing New Town amenities inc a community pool, lazy river, Blue Agave pool, several parks, playgrounds, fishing, an amphitheater & community events.